There is one daily overnight sleeper train from Hua Hin to Butterworth Penang and also one daily departure in the other direction. This service is easily the best way to travel from Hua Hin to Malaysia and Georgetown on the island of Penang or vice versa. The only other option travelling overland would mean you would have to get a bus to Hat Yai and then a minibus from there to Georgetown. Much more hassle and a lot less comfortable than the all second class sleeper service you get on the train and it would cost you around the same price. The distance from Hua Hin to Butterworth by train is 971 Km. Times shown above are Thai time - Malaysian time is one hour ahead. ****Please Note : This service now terminates at the border station of Padang Besar arriving there at 08.53 (Thai time). From there you will have to change trains and take one of the new regular Komuter Trains which stop at all stations to Butterworth. To get to and from the Butterworth Railway Station from Penang Island, there is a ferry which operates every 15 minutes (during peak times), just a few minutes walk away from the train station. All times shown are in Thai time. ****Please Note : This train now departs from Padang Besar station on the border at 17.00 (Thai time). To get to Padang Besar from Butterworth you will now have to take a Komuter Train. 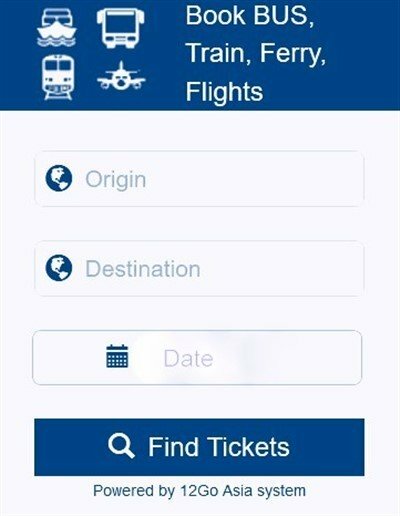 No advance purchase is available for Komuter services - so once you get to the border, just buy a ticket for the next departure (you will need to pay in Malaysian Ringgit so bring some with you as the moneychanger at the station is now closed). 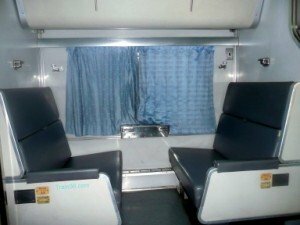 2nd class seats on the Hua Hin Butterworth service convert into beds. If you try to buy a ticket from Hua Hin to Butterworth and are told the train is full, you could probably buy a ticket on the same train just to Hat Yai. 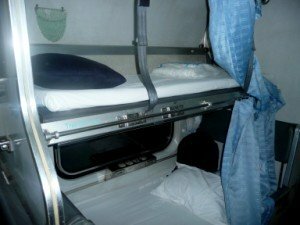 Then you could buy a separate ticket from Hat Yai to Padang Besar, which is never a problem as the beds are then turned into two seats. Alternatively you could catch one of the other trains to Hat Yai from Hua Hin and then take a Shuttle Train to Padang Besar or continue on by minibus to Georgetown Penang. There are travel agents selling minibus tickets just in front of Hat Yai station. The first departure is around 9am. 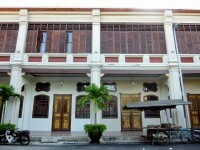 Both Hua Hin and Penang have hundreds of places to stay, from cheap budget guest houses to the best top luxury beach resorts in Hua Hin or unique luxury Heritage Hotels in Penang.